Paul M. Squierdo, 87, passed away Tuesday morning at the Schuylkill Center, Pottsville. Born in Frackville, he was the son of Paul and Mary Constance Squierdo. 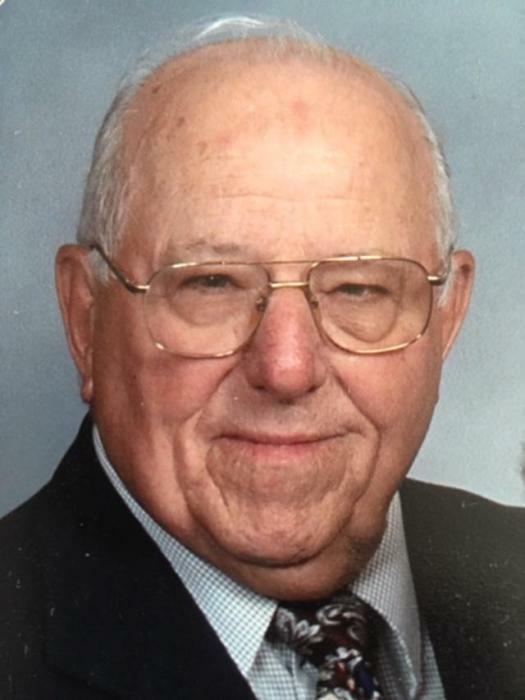 He was a graduate of the former Frackville High School Class of 1949. He was a member of St. Michael the Archangel Church, Minersville. He was the manager of the former Yorkville Acme Market and later was the owner of Tops IGA in Hazelton. Paul was a U.S. Army veteran of the Korean War. In 2018, he was the recipient of the “Ambassador of Peace” award for his service during the Korean War. Paul was an avid hunter and fisherman and was fond of hunting in Sullivan County, Pa., fishing in upstate Pennsylvania and Canada. Paul loved golfing and now joins his former golf buddies that he has missed in recent years. However spending time with his family was most important to him. He is survived by his wife of 62 years, the former Patricia Puck; a daughter, Maria Monderewicz, West West Terrace; 2 sons, Michael and his wife Mary Theresa, Lititz and Thomas and his wife Sherry, Pine Grove; 3 grandcildren, Theresa Stritch, Paul Squierdo and Matthew Monderewicz; 7 great-grandchildren; a sister Theresa Zelonis and her husband William, Frackville and an aunt, Jeanne Jones, Frackville. Mass of Christian Burial will be celebrated Friday morning at 11AM in St. Michael the Archangel Church, 539 Sunbury St. Minersville. Relatives and friends may call at the church on Friday morning from 9AM until the time of the service. Interment will be at the convenience of the family in Indiantown Gap National Cemetery, Annville.